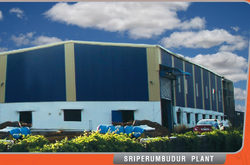 As to fulfill the requirement of several small scales to large scale industries we have a wide spread Infrastructure that consists of several units such as manufacturing unit, quality analysis unit, supplying & export unit and warehouse and packaging unit. We use latest technology and excellent quality material in our entire range of Welding and Cutting products as to ensure very low operating cost and less maintenance. We have latest technology and high performance Machines at our production unit that are capable of handling bulk of processing tasks.